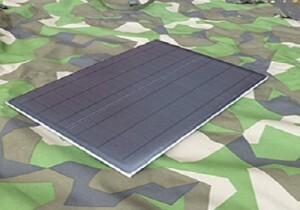 The Netherlands, 17 November 2014 – A new solar panel system for Defense Forces provides ballistic protection and is lighter and more portable than systems currently available. 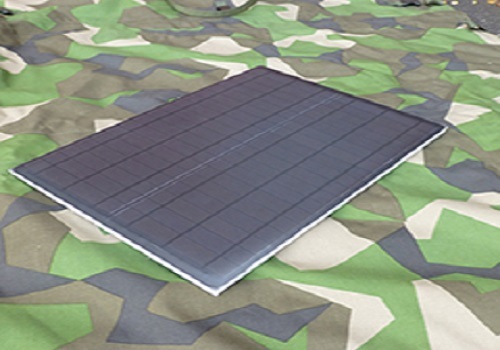 The PowerArmor™ unit from IDG Europe has low-reflectance solar panels protected by an anti-ballistic surface made in an exceptionally strong unidirectional fiber-reinforced composite. The composite is based on an ultra-high molecular weight polyethylene fiber (UHMWPE) produced by DSM Dyneema and branded as Dyneema®, the world’s strongest fiber™. It replaces the aluminum normally used for portable solar panels, which provides no ballistic protection. IDG says this is the first time that solar panels have been given such a high level of ballistic protection. Panels made in Dyneema® also weigh around 20% less than aluminum panels of the same thickness. DSM Dyneema and IDG Europe cooperated closely in IDG’s development of the dual-purpose system, intended to power electrical and electronic equipment used by armed forces in the field. The combination of ultra-light, low profile (anti-glare) solar panels and anti-ballistic panels with Dyneema® results in a system capable of providing energy and protection ranging from fragmentation to high-power rifle ammunition. IDG Europe says that the switch from aluminum for the general-purpose stand-alone solar panels also meets calls from the market for lightweight units with high environmental resistance. IDG Europe introduced the PowerArmor™ concept at IESMA 2014, the conference and exhibition on Innovative Energy Solutions for Military Applications that took place in Vilnius, Lithuania, on November 12-14. IEASMA 2014 is organized by the NATO Energy Security Centre of Excellence, and the DELTA State Military Scientific Technical Center of the Ministry of Economy and Sustainable Development of Georgia.